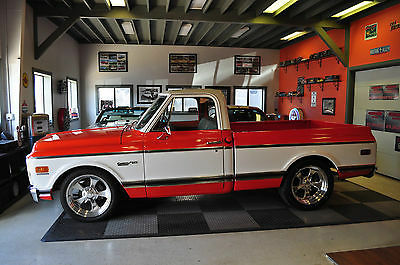 1971 GMC SWB,This is one of the nicest trucks you will ever see or drive. Total full restoration with no expense spared. Engine is a 5.3 Vortec that runs PERFECT! Transmission is a 460LE(overdrive) that shifts out like a brand new truck. 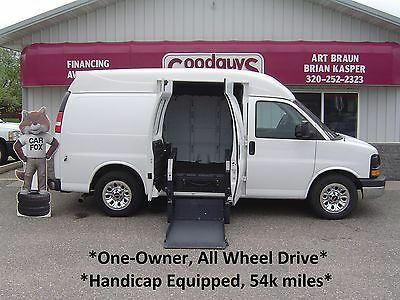 Has a lot of modern feature's like auto dim lights, auto door lock, AC, Disk brakes and much more. All new wiring, paint and interior. This is like driving a new truck. Cruise control works all lights work. Paint is a 9.5 out of 10 (nothing is a 10 in my opinion) All trim is in perfect shape all glass is in perfect shape. The wood bed is in perfect condition. Truck has a obi port to check and diagnose engine. Check engine light works you can take to dealership for everyday maintenance. 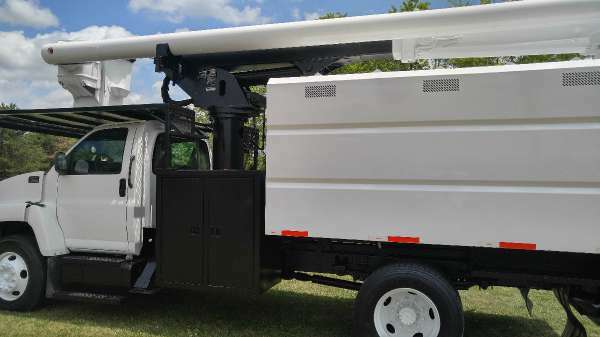 This truck drives amazing at 75mph down the highway with cruise set and ac blowing cold. I have had this truck for 2 years and love it. I am selling to buy a 1967 Shelby gt 500. The engine conversion was done right with new computer, electronic gas pedals.You can drive this as far as you want when you want. 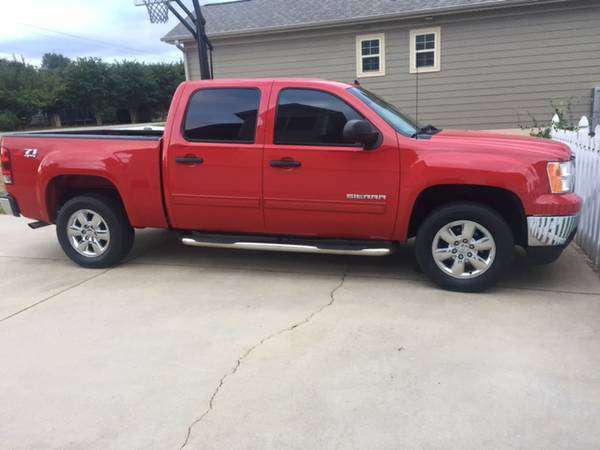 Any questions call Dave 479-366-7716 5.3 VORTECOVERDRIVEDISK BRAKESACCRUISEAUTO LIGHTSAUTO DOOR LOCKSNEW PAINTNEW TRIMNEW BEDHIDDEN GAS CAPRELOCATED GAS TANK (FOR MORE LEG ROOM AND SAFTEYNEW WIRINGLED LIGHTSNEW INTERIORNEW GAUGESTOO MUCH TO LIST !!!!!!!!!!!!!! 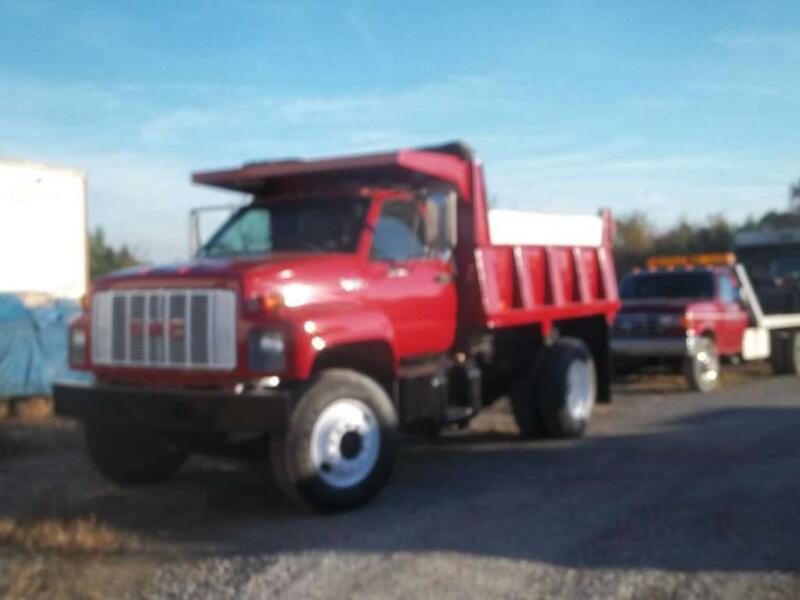 Up for sale 2000 GMC flat bed dump truck with a Allison AT 454 with 135.067 miles and the GVWR 26,000 Tires are in good condition and Registration current and update. All controls are proper working order. 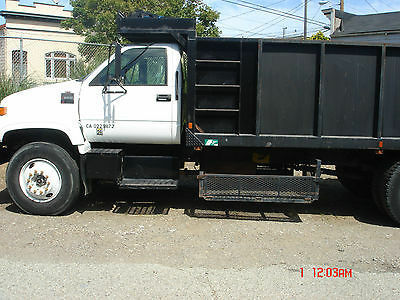 Flat bed dump was installed by Wesstern Truck Fab 06/2004. 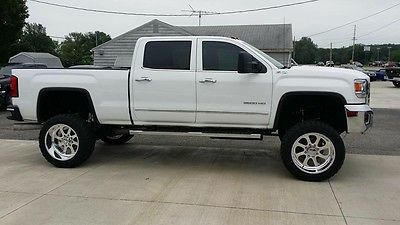 FOR SALE: 2015 GMC SIERRA 2500 SLT LOADED Truck Currently has 27,000 miles. 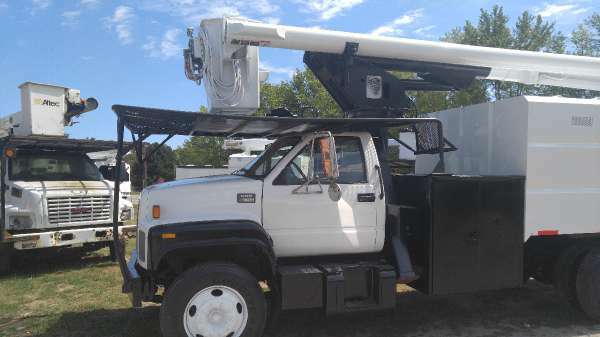 Truck is mint and in excellent condition. Only selling to get rid of a payment. I can send more pictures and videos upon request. Contact me at 1-618-335-3665. My name is Chris. Tan/Pecan leather interior/ Heated & Cooled Sunroof/Sliding back glass Bose stereo/Navigation Bak Flip F1 Bed Cover Line-x Bed liner Brand New 7.5'' Rough Country Lift Kit Brand New 35'' toyo open country m/t tires Brand New 22x12'' American Force Rebels SS8 Wheels Tinted Windows 20% all around. No low ball offers. But im open to reasonable ones. THANKS! 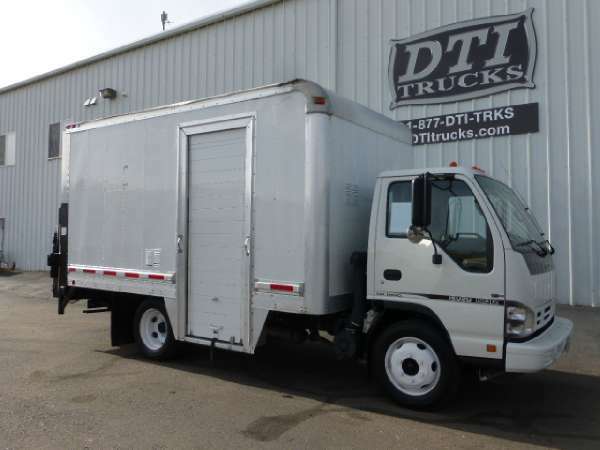 Here is a good little truck. Runs and drives good. Has small dings, left bumper small bend. 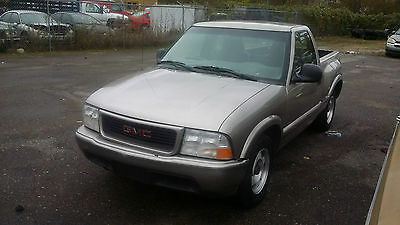 This is a 98 GMC Sonoma SLS with a 2.2 engine. Great on fuel. Cold A/C good hear. It has 154,572 mi on it. 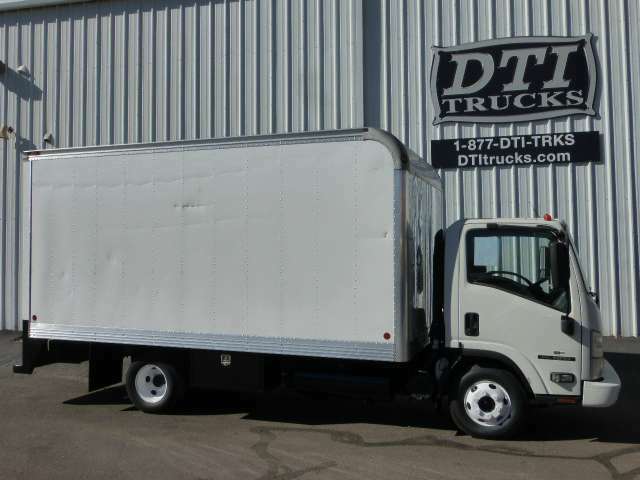 Good tires, bed liner, AM, FM, CD, ABS brakes, factory security, with a tow package. The paint was peeling on the hood and we painted it. It had a transmission problem and we fixed it. Shifts great. $3000. 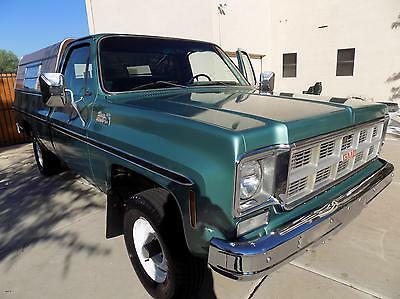 This 1978 is in Great original condition. One owner, copy of original invoice, interior is #43 code which is Seamist Green and is extremely clean and does not show any wear. Title is clear and has been transferred into an executor title. The engine is a 350 w/165 HP w/a 4barrel carb. 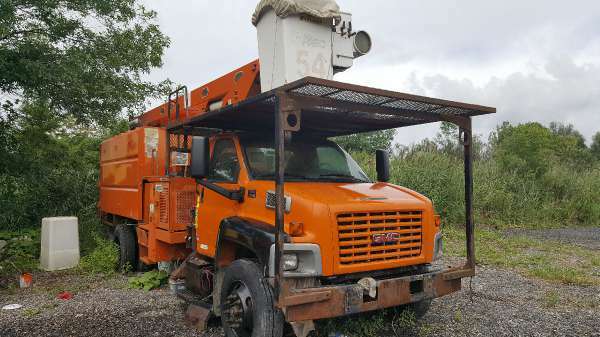 It has 2 gas tanks with manual changeover and transfer switch for gas gauge. 4X4 shifter is on the floor w/automatic shifter is on the column. Exterior Paint is in great shape 2 areas with minor chipped surface. There is an aluminum Bed Topper in great condition but the paint shows some fading where the topper sat. The photos are good but sunny Arizona had many clouds the day photos were taken so you will see the clouds in the paint. 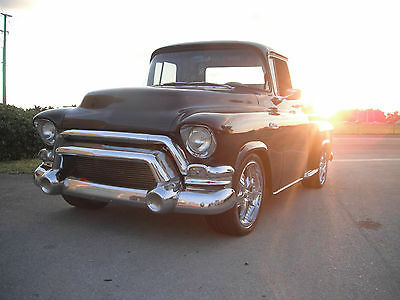 The truck has been appraised by "Old Cars" Standards and was rated "Excellent" with a Value of $ 11,950. Shipping is the responsibility of the buyer.